Dr. Kokila Punia is a graduate of New York University where she received her DDS degree with honors in Aesthetics. She is a member of the Omicron Kappa Upsilon Dental Honor Society, recipient of the Academic Excellence Award and Proficiency Award in Removable Prosthodontics at NYU. She completed her Bachelors in Dental Surgery from Manipal University, one of the premium medical schools in India and was awarded a Gold Medal in Oral Surgery. Dr. Punia is a trained Invisalign and Hiossen Implant provider and has worked on significant cases on smile improvement techniques. She keeps her skills up to date by attending continuing education courses in Implants, restorative dentistry and OSHA regulations among the few which she does on an ongoing basis. She is keen on building long lasting relationships and providing gentle and high quality dental care for her patients, the reason for a high percentage of referral cases. 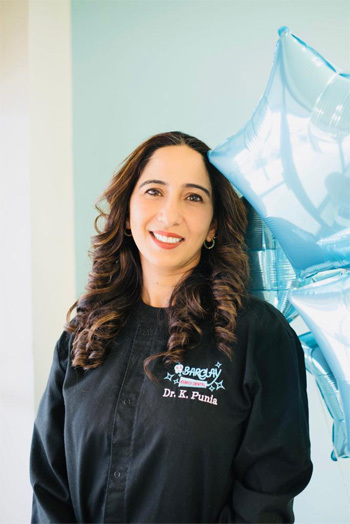 Dr. Punia was recognized as the "Top Dentist" In South Jersey magazine. Dr. Punia is married and has one son. She loves to be with her family in her spare time. Her hobbies include reading, exploring new travel locations, interior decoration and anything involved with creativity and art.